© Michael Brochstein/Sipa USA/TNS Iranian President Hassan Rouhani at the United Nations on Sept. 18, 2017, in New York. In an abrupt escalation of tensions with Iran, President Donald Trump is threatening the Islamic Republic with war unless it changes its ways, in concert with senior advisers who are speaking out on separate fronts. Critics immediately branded the threats as Trump's attempt to divert attention from widespread, bipartisan criticism of his troubled dealings with Russia, censure that has only grown since last week's Helsinki summit with President Vladimir Putin and amid attention to the upcoming trial of his former campaign manager, Paul Manafort. [post_ads]But in contrast to the Russia controversy, where Trump's embrace of Putin has seemed oddly at cross-purposes with the tough policies of his own administration, on Iran senior officials echoed the president Sunday and Monday by their tough talk, just weeks before the administration plans to slap brutal economic sanctions on the country. "NEVER, EVER THREATEN THE UNITED STATES AGAIN OR YOU WILL SUFFER CONSEQUENCES THE LIKES OF WHICH FEW THROUGHOUT HISTORY HAVE EVER SUFFERED BEFORE. WE ARE NO LONGER A COUNTRY THAT WILL STAND FOR YOUR DEMENTED WORDS OF VIOLENCE & DEATH. BE CAUTIOUS!" 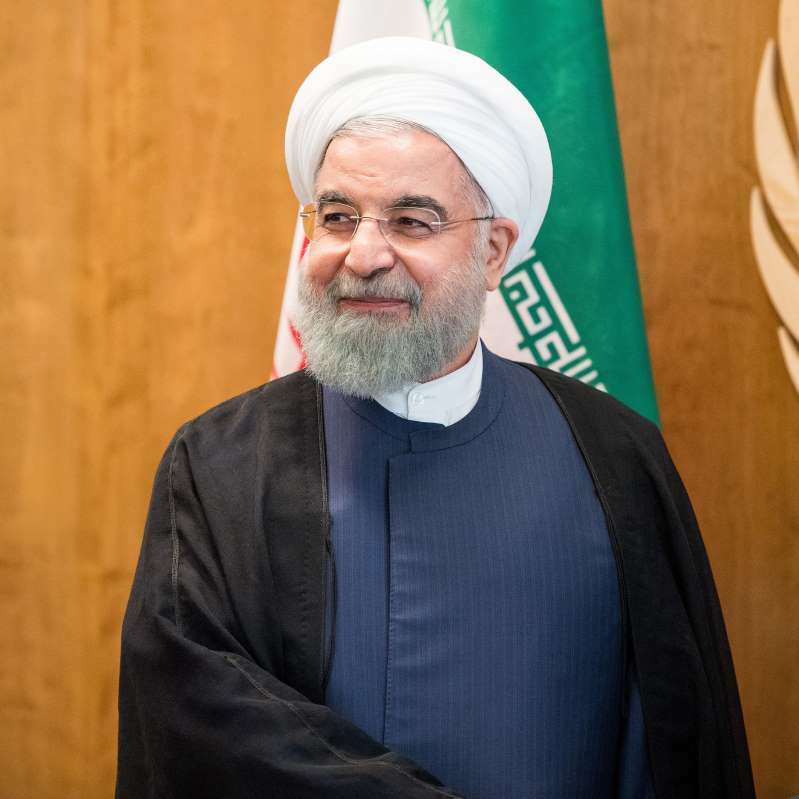 Trump was apparently responding to a speech earlier Sunday by Iranian President Hassan Rouhani, in which the Iranian warned of a "mother of all wars" if the United States attacked. "Mr. Trump, don't play with the lion's tail," Rouhani warned. He also said, however, that peaceful ties between the two countries could be the "mother of all peace." Though Trump may have been replying to Rouhani, the tweet came as part of an overall administration escalation of verbal attacks on Iran. On Sunday evening in Simi Valley, Calif., Secretary of State Michael R. Pompeo gave a harsh speech denouncing what he called Tehran's "Mafia" government and pledging support for Iranians who would challenge it. Pompeo said Iran's clerics and "hypocritical holy men" run a kleptocracy that enriches them while impoverishing ordinary Iranians, all while quashing domestic opponents and promoting terrorism abroad. And on Monday, John R. Bolton, Trump's national security adviser, echoed Trump's angry tweet in similar words. The president "told me that if Iran does anything at all to the negative, they will pay a price like few countries have ever paid before," Bolton, a longtime hawk, said in a statement. Trump's tweet was reminiscent of his threats, issued at just about this time last summer, to unleash "fire and fury like the world has never seen" against a nuclear-armed North Korea if it attacked U.S. territory. Since then, however, Trump has embarked on a rapprochement with North Korean leader Kim Jong Un in the still-unfulfilled quest to begin to denuclearize the Korean Peninsula. The two leaders met at a one-day summit in Singapore in June in which Trump made a major concession to Kim - canceling the United States' joint military exercises with South Korea - and received little, if anything, in return. This outburst could prove more perilous, however. Unlike with North Korea, where U.S. officials and experts agreed there was no military option against a nuclear-armed adversary, Iran hasn't built a nuclear weapon and therefore is more exposed. Several senior members of the administration - including Pompeo - at least until recently believed Iran could be contained through U.S. military action. Also, in the case of North Korea, regional players such as South Korea and Japan were invested in finding a peaceful solution. With Iran, however, Washington's closest like-minded allies on the issue - Saudi Arabia and Israel - routinely engage in similar bellicose rhetoric, which only encourages Trump. White House press secretary Sarah Huckabee Sanders would not say whether Trump consulted his national security team before the tweet. She blamed the escalation on Iran. "If anybody's inciting anything, look no further than to Iran," she said. The Iran tensions come after Trump withdrew the United States from an agreement to curtail Iran's nuclear activities - a landmark, international pact signed in 2015 that the administration hopes to unravel. Tehran was abiding by the terms of the nuclear agreement, but Trump said that pact didn't go far enough. He said he wants to confront all of Tehran's "malign behavior," such as support for regional militant groups, in addition to thwarting the country's nuclear potential. Christopher R. Hill, a veteran diplomat in Republican and Democratic administrations, said Trump's hostile rhetoric toward Iran was "raw meat" for his political base and "an effort to shift the subject" away from the Putin summit. "Things have not gone well and this idea that he's a tough guy has really frayed," Hill said. "Sure, he's been tough on Canada and Germany, but he looked weak when he was face to face with Putin. This looks like an effort to tell his base, 'I really am tough.'" Washington will unilaterally re-impose economic sanctions on Iran in a few weeks and has demanded, so far unsuccessfully, that other nations stop all imports of Iranian oil. Several European allies, who are seeking to keep the Iran agreement alive, have sought waivers from the sanctions, but the State Department has seemed unlikely to grant them. The initial sanctions, targeting Iran's automotive sector and trade in gold and other metals, will "snap back" Aug. 6, said Brian Hook, State's director of policy planning. A second tranche of the punitive measures, targeting the energy sector and transactions with the Central Bank of Iran, go into effect Nov. 4, Hook said. Further crippling Iran's economy potentially, the sanctions would make it extremely difficult for other countries and international companies to do business with Tehran. Also this week, Pompeo is hosting the first ministerial-level conference on religious freedom, with foreign ministers of several nations planning to attend. It gives the secretary another opportunity to highlight what he has described as Iran's repression of religious minorities. Reaction in Congress to Trump's ratcheting up of anti-Iran rhetoric was mixed. Sen. Tim Kaine of Virginia, a Democrat on the Senate Foreign Relations Committee, said Trump's "belligerent" tweet was "another alarming warning sign that he's blundering toward war" with Iran. "The administration's hostile rhetoric and efforts to stir up internal protests against the regime are dangerous," Kaine said. However, a senior Republican congressional aide said Trump's tirade could be part of an approach to scare Iran, and thus constrain it, that has broad party support. After Iran was largely contained in 2008, it then spread its reach to the point where its forces or proxies now are operating in Yemen, Iraq, Syria and Lebanon, said the official, who requested anonymity to speak candidly. "The goal is to bottle them back up without firing a shot," the aide said. "And given Pompeo's speech last night, you can't say (Trump's) weird tweets come in the absence of a wider strategic policy." Israeli Prime Minister Benjamin Netanyahu praised what he called Trump's "bold stance" against "Iranian aggression." Netanyahu was speaking ahead of a meeting with Russian Foreign Minister Sergei Lavrov. Israel wants Russia to help remove pro-Iranian forces from Syria. Iranian Foreign Minister Javad Zarif also used Twitter, and wrote in capital letters, to respond to Trump. "COLOR US UNIMPRESSED," Zarif wrote. "The world heard even harsher bluster a few months ago, he added, apparently alluding to the North Korea comments. "We've been around for millennia & seen fall of empires, incl our own, which lasted more than the life of some countries," Zarif said. "BE CAUTIOUS!" On the streets of Tehran, ordinary Iranians were worried that the combative rhetoric would lead to U.S. military action or economic punishment that mostly hurts citizens. But they also continued to show their anger at what many see as the mismanagement of the country by their own leaders. "Our rulers are incompetent and inefficient; if they had been good governors, they would have come up with efficient ways to run the country and meet the needs of their own people," said Hadi Pourasel, 55, manager of a taxi agency. "Now the threat of the U.S. administration adds to our miseries."